People are so funny about free samples. Free anything really. They flock to it like starved vampires in the night. Do vampires flock? I wonder if a bunch of Vampires would be called a flock. Although if I ever needed to say ‘there goes a flock of Vampires’ I think I would be more worried about the blood sucking monsters than what I should be referring to them as. Vampires are really all the rage now. Them and Zombies. Although I feel like Vampires are like the rockstars and Zombies are like the craft service; everyone loves them but no one really wants to hang out with them. Which brings me to trapper keepers. What happened to them? Do kids still carry around folders and write with pencils? I’m so far removed that I don’t even know what happens in schools these days. 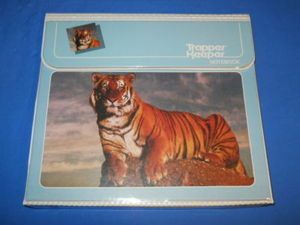 I do remember I had a trapper keeper with a tiger on it. And it was awesome. I’m getting more and more afraid of technology every day. What I’m not afraid of is old episodes of 90210. They are awesome for many reasons. They remind me of being young and watching them when they were actually on tv. They remind me of summertime and watching them when they were on reruns on FX. And they remind me of how crazy I must have been to love that show. Don’t get me wrong, it’s awesome but it’s also pretty terrible. I just watched an episode recently where Kelly thought she had AIDS and she had a friend die from it in the episode, and the first thing she said was that she was mad at him for leaving her. Oh Kelly Taylor, everything was always about you. I’m not sure why I loved it so much because I obviously couldn’t relate to any of the uber rich, overly-conceited and oddly grown up characters (how did Val own and run the After Dark nightclub while she was in college?!). I guess I just thought it was funny back then too. But then I guess every generation has it’s teen drama that they get into that is so based so far away from real life, one enjoys watching the absurdity of it all. People are funny. They really are. They act funny, they look funny, they talk funny. Sometimes I just look around and think I might as well be in a zoo. The other day I was in 7-11 and there was this young guy and girl, maybe around 18 or 19 years old. The girl was so flustered about whether she should get 2 hot dogs and 2 doughnuts or maybe he wanted something else. Meanwhile the guy is already standing in line with a candy bar and a soda in his hand is saying, ‘yeah, that sounds good, whatever.’ And the girl is pacing around the place saying, ‘well maybe I should get nachos or Slurpees!’ I really couldn’t figure out why she was so stressed out and why she was even buying him something because he obviously was buying what he actually wanted, himself. I just enjoyed the whole episode. It was like watching a 90210 scene between David and Donna. Oh man, those two! Perhaps if 7-11 offered free samples of their tasty convenience food, she would have had no trouble deciding. But then there would be the problem of the flock of Vampires and the Gang of Zombies to attest with. Hmm, I would have just gotten the nachos, that weird bright yellow cheese that comes out of the pump is amazing. First of all, yes Vampires are the rage. Second, it’s been YEARS since I’ve been a TrapperKeeper. Kids don’t even carry their own damn pen let along pencils. Pencils don’t seem to be used anymore. And third, I hated 90210. 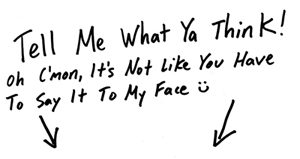 Obnoxious, gag, yuck! lol I think though there was more something wrong with me because I didn’t watch anything really except Dukes of Hazzard when I was young! Or the Mickey Mouse Club and all the old Disney movies! Friday Night at the Movies! Ahhh, those were the days!